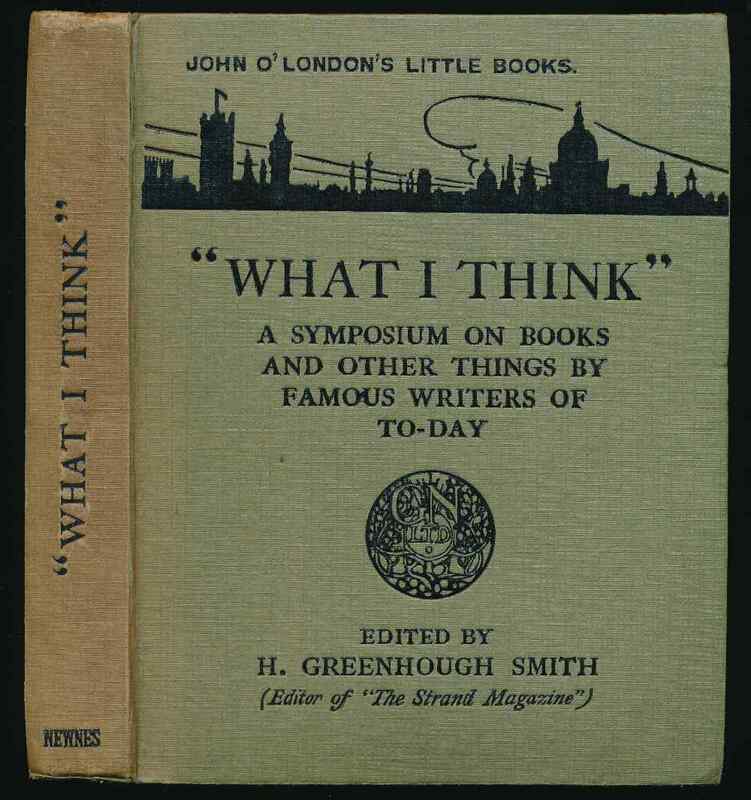 edited by H. Greenough Smith. London : George Newnes Limited, . 184 pages, frontispiece : illustration. (John O'London's little books 9). A compilation of observations by writers about their craft. Contains three contributions from Doyle and one from Wodehouse. G+. Spine darkened and worn at spine ends. Spotting to page edges. Foxing to end papers. Author: Smith, Herbert Greenough Doyle, Arthur ConanWodehouse, P. G.